Avira’s Phantom VPN is a simple, elegant tool for a secure, anonymous time on the Internet — but it has a couple of (good) tricks up its sleeve. You won’t find hundreds of server locations here — Avira’s latest update puts them at 36, with more on the way (or so Avira claims). Europe and the US are focused on, without any options in Africa or the Middle East — check our table for a full list. Encryption, while solid, happens only via OpenVPN (Windows, Android) and L2TP/IPSec (MacOS, iOS). Port forwarding isn’t available, and neither are any other advanced settings. 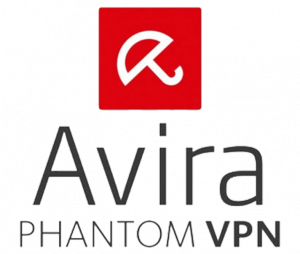 The spartan-like equipment of Avira Phantom VPN isn’t necessarily a bad thing — we consider it perfect for the casual user who cares about a safe and private time on the Internet, and not much else. That said, you get a kill switch (Avira calls it “fail-safe”) and DNS leak protection, which are a huge plus. Plenty of boastful VPNs forego these crucial security features, but Avira Phantom VPN has done its homework. There’s also a free version available. It’s bandwidth-capped at 500MB per month — but hey, it’s free and doesn’t require registration. If you do decide to register, you get a total of 1GB of free bandwidth monthly. It’s worth noting that Avira Phantom VPN’s free version comes without the fail-safe functionality. However, you can technically try out the full roster of features for free, thanks to the 30-day money-back guarantee. You can also choose to include Avira Phantom in the Avira Prime suite, along with antivirus protection, a cleanup tool and a software updater, among other handy tools. Regardless, this VPN is great as a standalone app — with one caveat. If you’re using Avira Phantom VPN in the US or Canada, it will be under US jurisdiction. For everyone else, it’s German-based. In either case, the location isn’t perfect for the privacy-conscious crowd, due to invasive legislation and data retention laws. Avira Phantom VPN doesn’t shine with lightning-fast speeds, but it passed our tests without any buffering issues or extreme latency. Connecting to a server is fast and trouble-free, and you shouldn’t experience any drops. The bottom line: you can expect a slightly worse connection, but you won’t feel it past the numbers. Avira Phantom VPN has servers in 36 locations, spread across 25 countries. Coming from a well-established company, the Avira Phantom VPN checks all the boxes for a user-friendly, straightforward client. Interfaces are uniformly intuitive across all supported systems, and constant updates are introduced to make the user experience even better. One gripe we had was related to the inclusion of “bloatware”. During installation, you will be asked if you want a couple of Avira’s other products to go along with the Phantom VPN. You’ll need to press Skip if you don’t want any extra software, so be on the lookout. Other than that, Avira has taken a minimalistic approach to settings. You can enable auto-launch on startup and automatic protection for untrusted WiFi networks, in addition to manual server selection, but there isn’t much beyond that. Some may consider that a drawback, but we like the hands-off aspect of a simple, yet effective VPN. Avira Phantom VPN has adequate customer support, but being just one product of many, it comes with rather lengthy response times. You can either email or phone for help — keep in mind the free version of this VPN doesn’t offer any tech support, so it’s for home and business users only. You can also consult with the offline help section, where you can find various tutorials, educational videos, and an FAQ. Oh, and if you were hoping for live chat, we’ll have to disappoint you. Avira Phantom VPN doesn’t have that option, and it’s something we’d love to see in the future. For what it offers, Avira Phantom is an excellent grab and one of the cheaper VPNs around. You can choose between monthly and annual plans, including a monthly plan for mobile only. The only difference is in the number of connections — the mobile plan covers only unlimited devices, as opposed to 5 for the others. Opting for the annual subscription will net you a sweet 33% discount. There’s also a 30-day money-back guarantee at your disposal, allowing you to test the VPN out and get your money back if you aren’t satisfied. Payment methods are rather limited, with credit cards and PayPal listed as the only options. Unfortunately, there is no way you can pay via Bitcoin (or other cryptocurrency).